In close partnership with the Episcopal Diocese of Honduras and the Ministry of Health of Honduras, we run two HIV and primary care treatment clinics providing medical care and social support services. Beginning in February 2003, Siempre Unidos was one of the earliest providers of effective, affordable anti-retroviral treatment in Honduras. Our dedicated Honduran physicians, nurses, outreach workers, and pharmacy assistants see members 6 days per week. Our programs adhere to all Honduran government protocols for treating HIV. The Honduran government provides most of the antiretroviral medications and discounted laboratory tests. US HIV specialists help evaluate especially complicated members in consultation with their Honduran peers. Members who do not respond to locally available treatment receive life-saving medications from RAMP, a program that recycles unopened, unexpired antiretroviral medicines from the US. Our clinics are a major primary health care provider for over 1,200 HIV-negative residents living in their vicinity. We treat children and adults for infections, chronic diseases and injuries. The first Siempre Unidos clinic was established in the city of San Pedro Sula, the industrial capital of Honduras and the epicenter of the HIV epidemic. 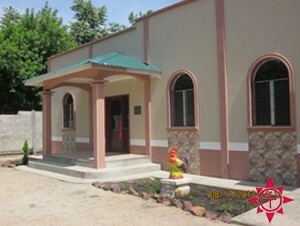 A new larger clinic was completed in August 2013. The Siempre Unidos clinic in Siguatepeque provides care to a population that previously had no access to HIV treatment within two hours. 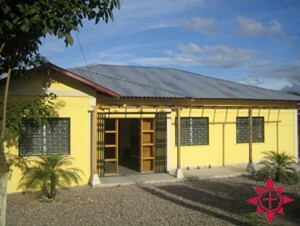 Our 3300 square foot clinic building was completed in 2005.